Everyone of my new seedling friends have made their appearance. Bless their tiny little souls. Now we have all six growing at their own pace, just like people. I wonder if I will notice characteristic traits. I suppose time will tell, again just like people. I hope you all are having a wonderful evening. I can tend to be anxious, if there is something I hope to happen I want to see it come to fruition as soon as possible. But there are many times that I have to be patient, right now is one of those times. I am chomping at the bit waiting for the outcome I desire, but it is one of those things I can’t control. I have to try to let go, but with so much at stake I am finding it a challenge. But nature has a way of reminding us that things happen the way they are supposed to happen, with little intervention by human hands, and mostly with their own unique schedule. Case in point, I planted six little seeds. I was not sure how many would sprout. At first I saw two, then three, and now five. The first few are bigger than the others, but all are putting their effort into growing. They all want to realize their potential to be flowering plants. And so today’s lesson is: that things will grow at their own pace, you can’t rush or force the outcome. You can only do your best and hope for things to blossom. 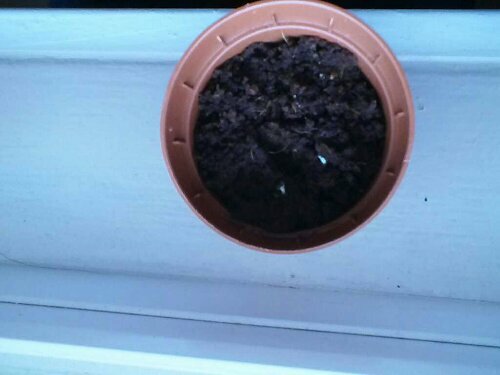 There is one more seed and I have no idea if the little fella will grow. For that matter I don’t know if my sprouts will survive. I can only give them water, give them light, and give them love. I hope that will be enough. I guess that is the best I can do with my other situation. It has become a highlight of my day to watch and chronicle the growth of my new little friend. Maybe it is a lesson I need to take, that no matter how dire the circumstances, you must true to make a little happy in your life. 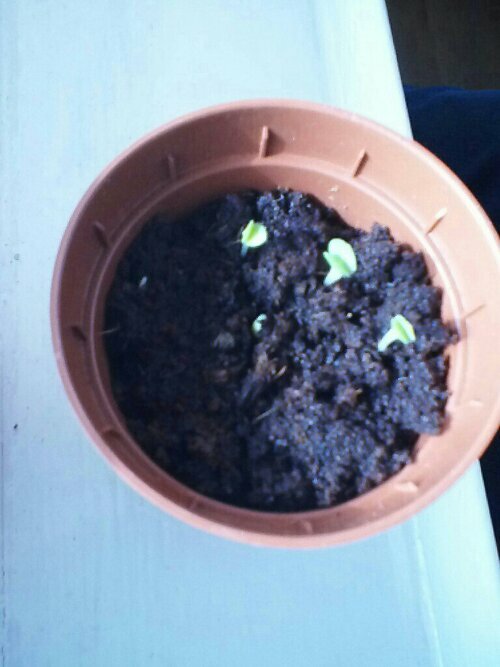 The little leaves seem to be sprouting. Isn’t it a wonderful miracle? 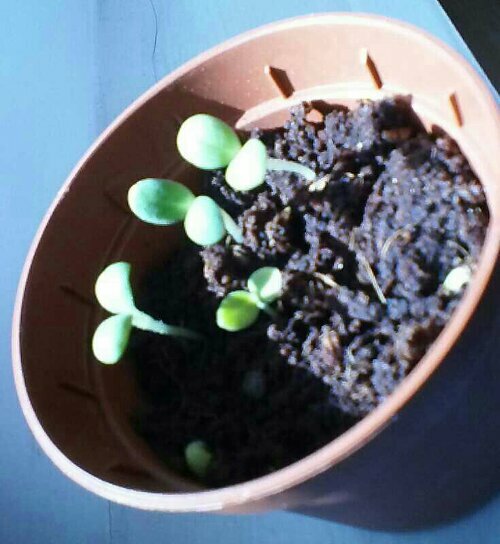 I hope they continue to grow well. I have been living an extremely hard life these past few weeks, even more so than before. But I am trying to remain hopeful and have planted a few forget-me-nots to remind me. 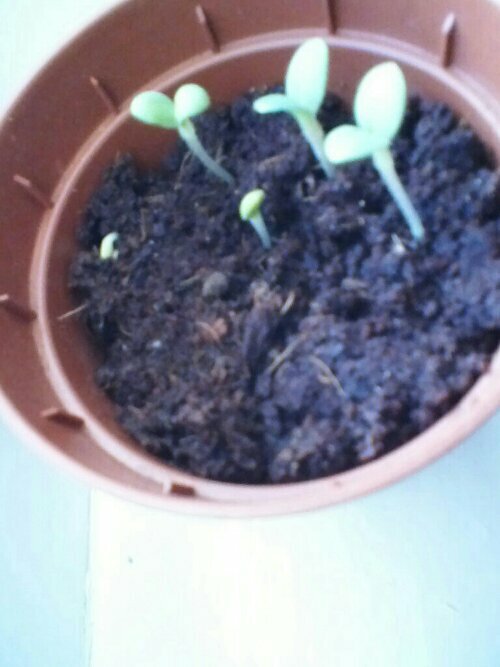 After a few days I am seeing some hopeful sprouts. I love this part. It is almost like they are encouraging me to go on. It is funny how something so small can make such a big impact. I hope you all have something good to hold onto.